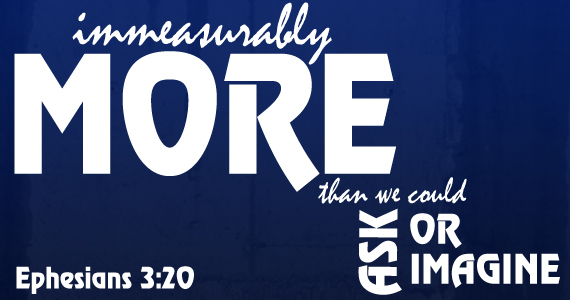 I think that in order to see “immeasurably more” happen it takes a commitment from the leaders and the people to strive to implement the fruits of the spirit in their daily lives. Gal: 5:22-23 says” But the fruit of the spirit is love, joy, peace, long suffering, gentleness, goodness, faith, meekness, temperance; against such there is no law.” Notice that love is the first on the list, because without it you cannot produce the fruits that follow love in Gal: 5:22-23. 1John 4:8 says: “He that loveth not knowth not God; for God is love. ” Love is more than just an expression, and if the people do not know that love extends beyond expression and love is not dissected in a way that even the children can understand, we will always lack “immeasurably more.” Great choice of scripture and topic Pastor Shay, I am inspired!! !